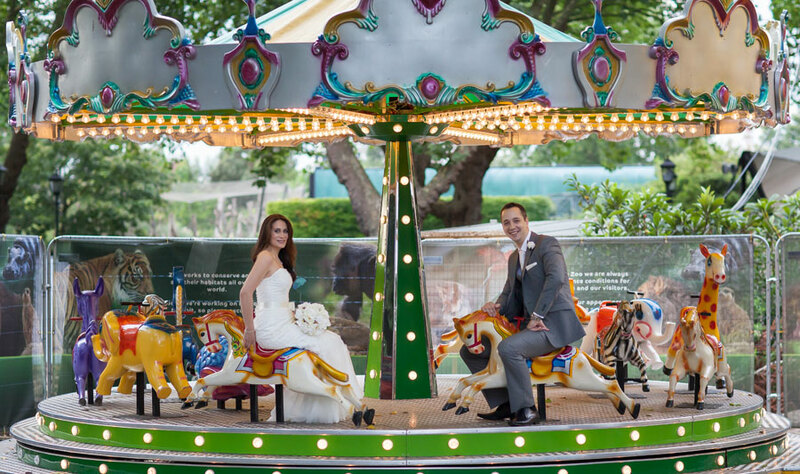 A long time ago before becoming London Zoo wedding photographers…..After David’s first visit to London Zoo at the age of seven he left with a plastic Rhino from the souvenir shop, which for a time was his favourite toy, he still has it, in fact it now belongs to his youngest son who is seven years old himself. 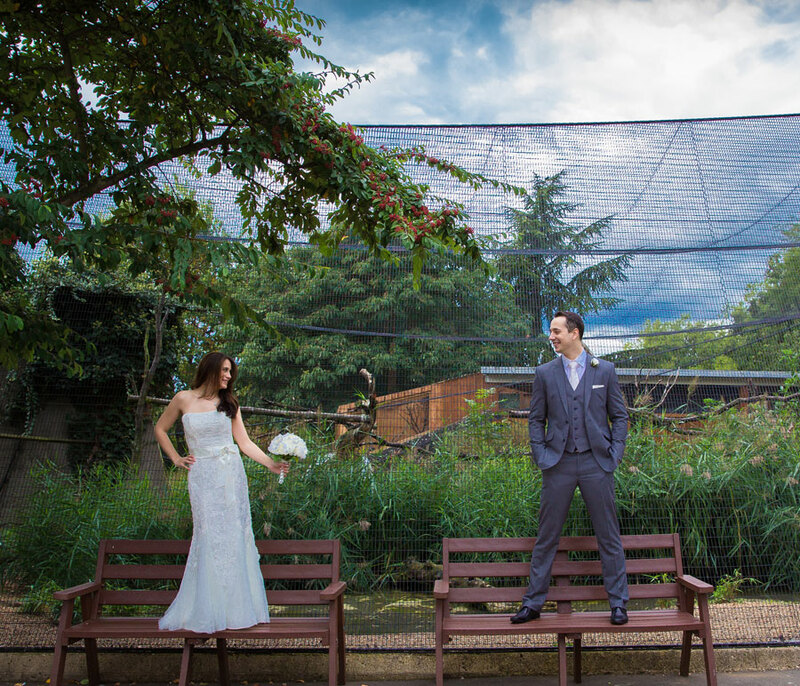 Joanna, growing up as a little girl in London, often gazed longingly at the outside wall of the Zoo in Regents Park, wishing she was could be on the other side, looking at the animals rather than the flowerbeds around her (not that there was anything wrong with the flower beds…) More about this below. 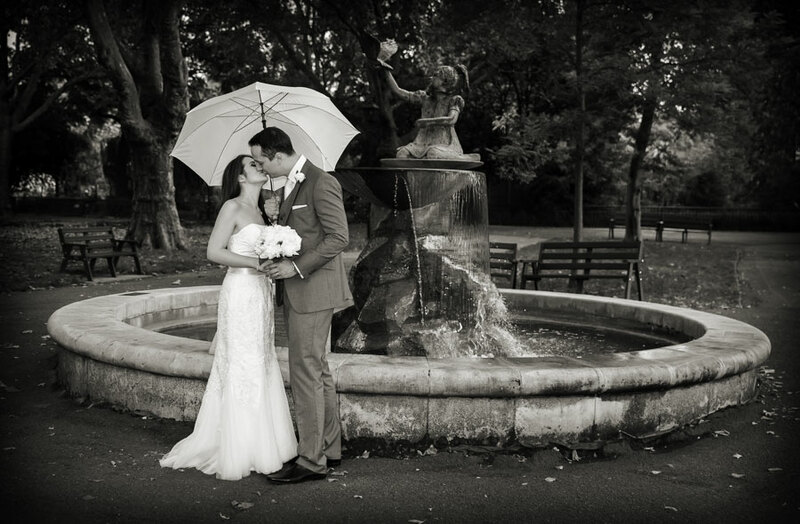 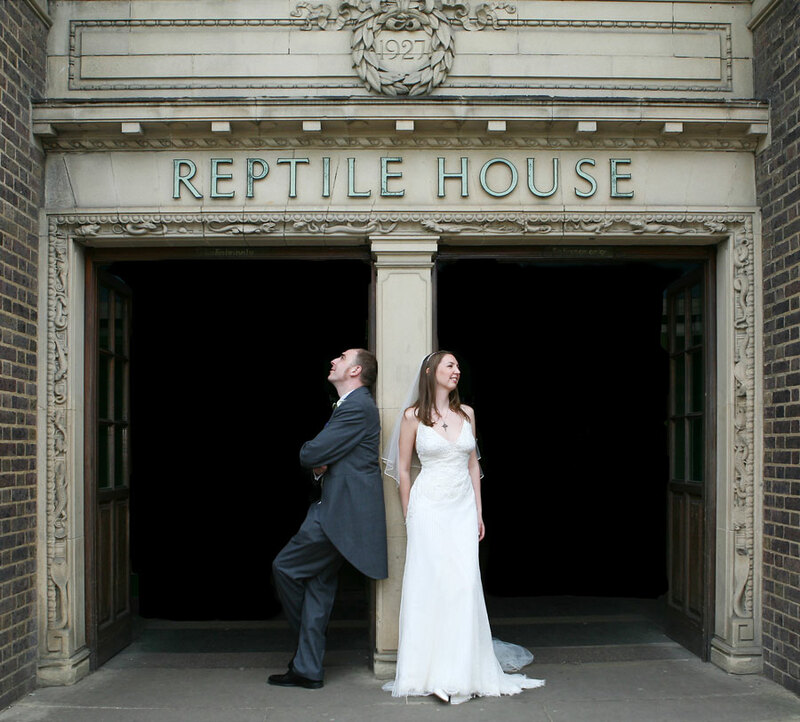 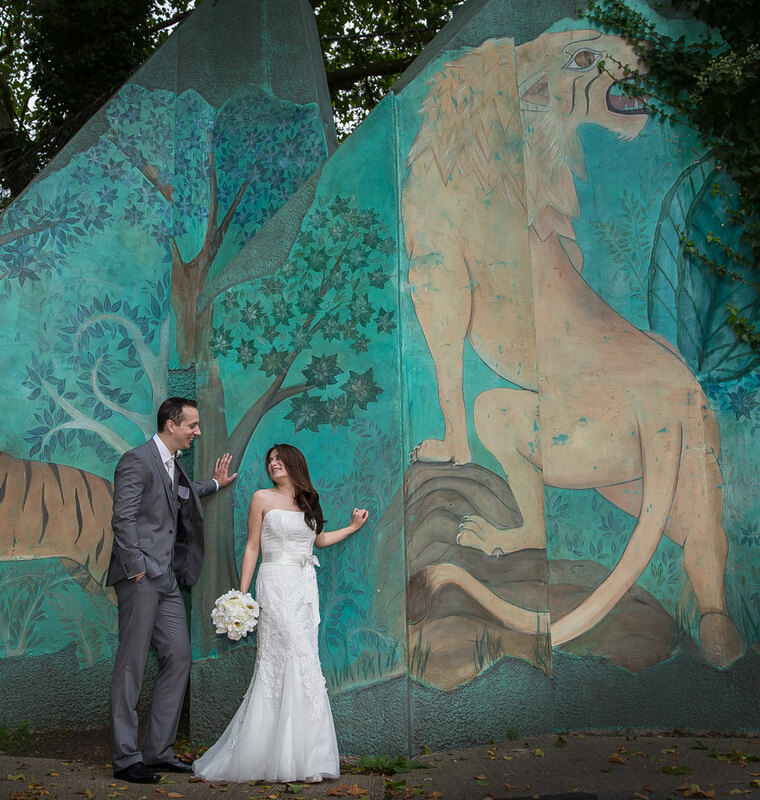 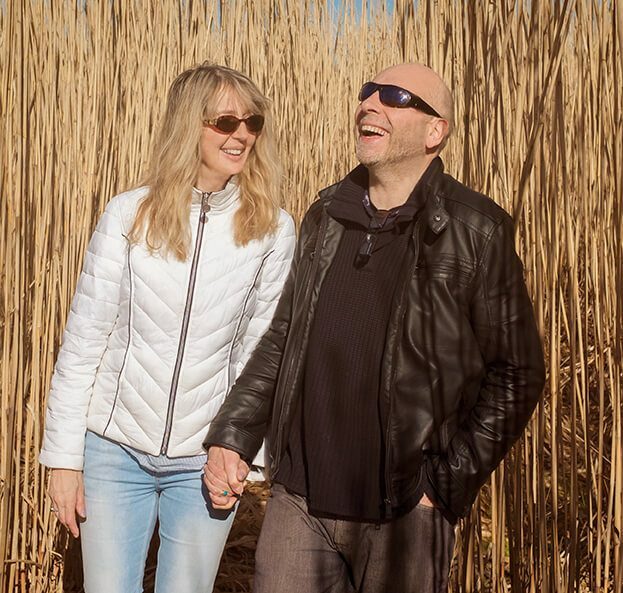 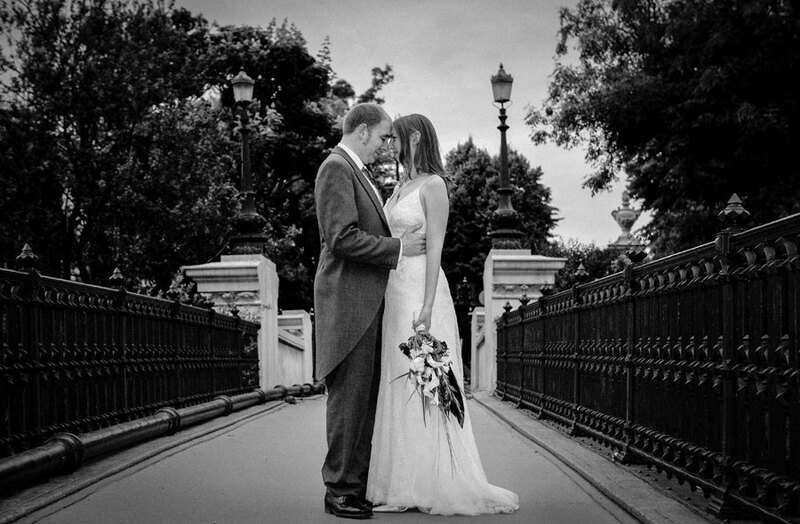 Neither of us imagined that as adults today we would be returning most often as London Zoo wedding photographers, and not just parents taking our children there. 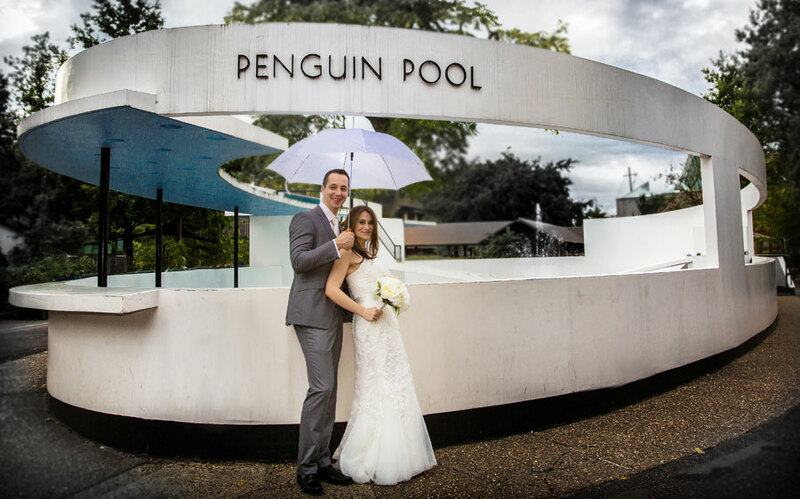 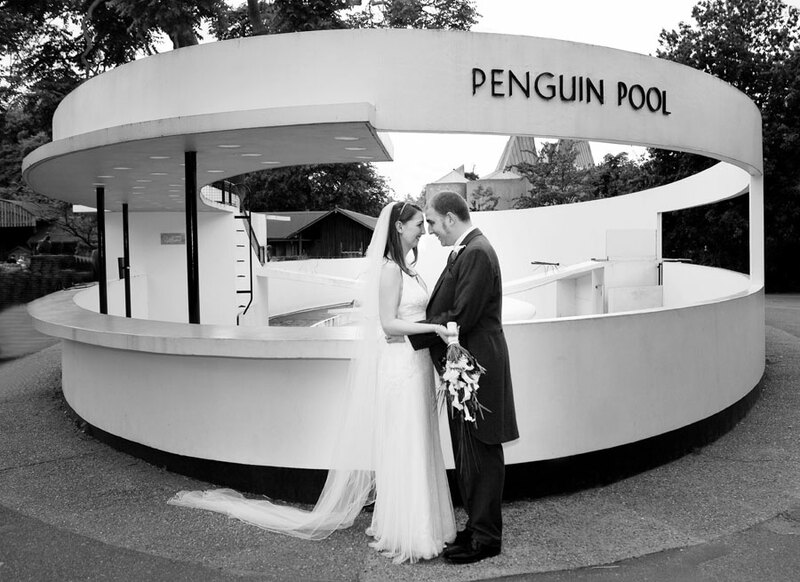 Since the days of our childhoods the wonderful Victorian zoo has changed immensely (for instance the classic penguin pool of the 1960’s and featured below in a London Zoo wedding of ours is now a curiosity piece, and there’s no elephants anymore…oh well) One of the biggest changes of all is that you can now get married at London Zoo! 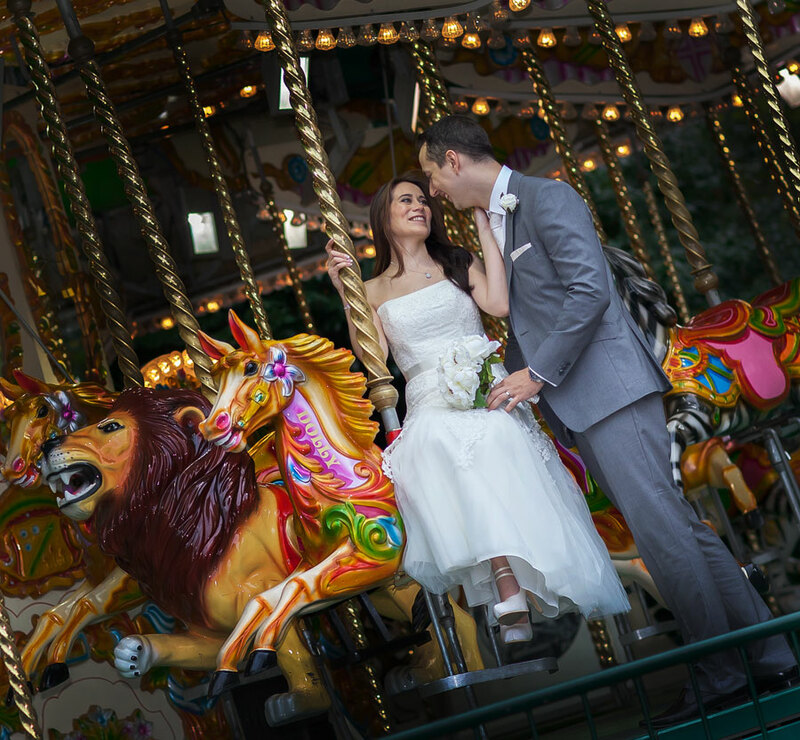 What a wonderful chance for a memorable day, whether a couple are animal lovers or not.